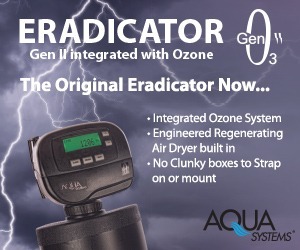 At last April’s WQA Convention in Las Vegas, past President and multi-market dealer C.R. Hall introduced a slide presentation of the 2015 Consumer Study on Water Quality with some powerful and pertinent words of advice for dealers: “Fish where the fish are.” While water treatment dealers rightfully pride themselves in knowing their local customers’ wants and needs, this latest in the series of two-year national studies sponsored by WQA affords dealer members a more global perspective on what drives consumers to purchase home water treatment. 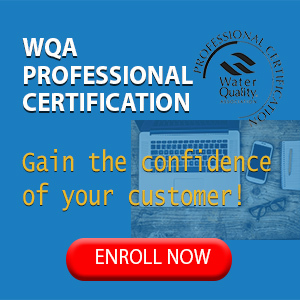 According to the WQA telephone survey, retail sales of bottled water continue to climb, with 77 percent of respondents (up five percentage points from 2013 and twelve from 2011) identifying themselves as regular users. This should be good news for dealers, given that more prospects than ever are sold on daily use of quality drinking water, making them predisposed to hearing the POU benefits of lower cost and better convenience over packaged drinking water. Hall’s advice: target bottled water users. Addressing consumer concerns about contaminants can present a different route to whole-house system sales. The traditional approach is to present soft-water savings and aesthetic benefits first. But the 2015 survey instead suggests leveraging growing consumer concern about contaminants first. Maybe more perceptive dealers would lead with their RO presentations, instead of seeing RO as only an add-on sale to softeners. It also encouraged new dealers in the industry to get involved in WQA training programs, including certification and to focus on selling certified products. The survey says 64 percent of consumers want to purchase certified products. The study found that consumers are slightly less confident than they were two years ago in the quality of the water in their homes; 56 percent of respondents (four percent more than in 2013) described themselves as concerned or very concerned with it. The research also verified the impact government alerts have on consumer behavior. Almost half of respondents (48 percent) reported they had purchased a water filtration device after receiving a boil-water or unsafe water alert. 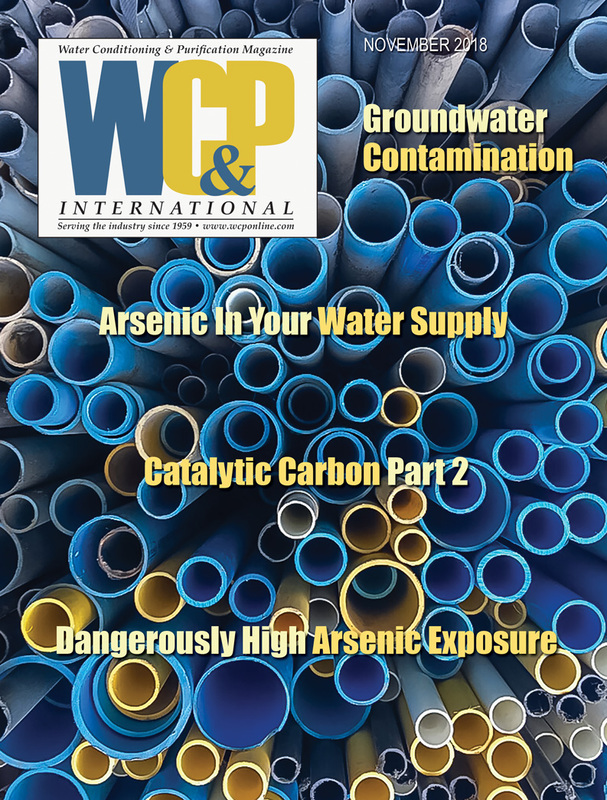 The survey suggests dealers in small communities need to accept the challenge to educate consumers on specific contaminants, such as arsenic. • More than half (56 percent) of consumers indicate that they are concerned or very concerned about the quality of their household water supply, a slight increase over 2013 (52 percent). • More than half (59 percent) of those surveyed said their primary area of concern relates to waterborne health contaminants. • Forty-one percent of respondents stated that drinking water is not as safe as it should be. This is a slight decrease from 43 percent in 2013. Close to half (46 percent) of those surveyed perceive the federal laws governing drinking water quality are not strict enough. A sizable majority of consumers (70 percent) believe that the primary responsibility for ensuring safe drinking water lies outside their home, with the municipality. • These results suggest increasingly that POU/POE treatment may present a viable solution for communities with problematic water supplies. More than 99 percent of the water coming into our homes is not used for drinking. By installing protection at or near the tap, consumers can protect the water that is most important to them. • Three-fifths (60 percent) of the sample said they would be willing to pay more on their water bill for removal of MTBE or pharmaceuticals present in tap water. This represented little change from the 59 percent who said the same in the 2013 survey. • In addition, they would be willing to pay more for home water treatment systems to remove biological waste, arsenic, lead, and other contaminants. • Water filters tend to be replaced on a regular basis. In fact, 24 percent of respondents say they replace filters quarterly, 47 percent said twice a year and 17 percent said once a year. • A majority (60 percent) of those who purchase a water softener tend to purchase it within one year of buying or leasing a home. • Three-quarters of respondents (76 percent) chose to purchase a water softener rather than rent one. • About one-quarter (28 percent) of those who currently do not have a water filtration device in their home said they were likely to install one in the near future; however, only six percent said they were very likely to install one. • Concerns about contaminants and a healthy lifestyle are considered the most important factors influencing the decision to purchase a water filtration product. • About half of respondents considered a water filtration system to be a luxury, while the other half believed it is a necessity. The split was exactly 50/50 in 2013, while in both 2011 and 2015, 54 percent described it as a luxury and 46 percent described it as a necessity. • Less than half (47 percent) of respondents said they consider a brand-name product as a very important or somewhat important factor. 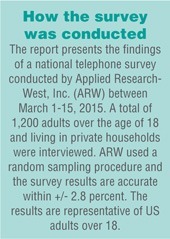 • Under-sink and faucet-mount POU devices are now equally popular, representing a decline in faucet-mount consumer interest since the 2013 survey. • Product knowledge and the ability to answer consumers’ questions were considered the most important attributes for a salesperson of water filtration equipment. • Maintenance costs and ease of maintenance were the attributes of a water filtration system considered most important by consumers. • Two-thirds (64 percent) thought a product certification was an important factor in selecting a filtration system. • One-third of consumers said they were aware of a specific product certification body for the water treatment industry. Awareness was highest for the WQA Gold Seal (22 percent), Underwriters Laboratories (UL) (22 percent) and NSF International (21 percent). • Consumers said it was far more important to find a product bearing a warranty or guarantee than one made or assembled in the US. The consumer wants to have a reason to purchase. Clearly, brand, benefits guarantee/warranty and water safety are key messages. • More than three-quarters (78 percent) of those surveyed in 2015 claimed that the presence of plastic had no effect on their decision to purchase bottled water. This represents a significant shift from the 2013 survey in which 61 percent of respondents were unconcerned with the presence of plastic. • More than one in 10 respondents (11 percent) claimed to have stopped buying soft drinks in plastic bottles. This number was up by two percentage points from the 2013 survey. What does this mean? Bottled water substitution remains a niche market opportunity for the POU industry. 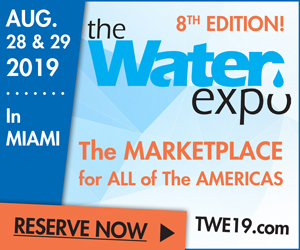 • With declining consumer confidence, dealers must demonstrate how their systems let consumers take control of the quality of the water they are drinking. • When a boil-water alert hits, promote POU systems that create peace of mind. • Promote bottled-water quality without the bottle to the growing numbers of bottled-water users. • Since the survey reveals consumers are willing to pay more for safer water, promote systems that reduce water, arsenic, lead, biological and other contaminants. • Use price comparisons to show savings over bottled water costs. • Promote quality water as part of a healthy lifestyle. • Utilize the template press release and brochures available to WQA member dealers.